Mike Zisserson designed the Esperanto Parolanto loudspeaker while taking into account my “Wish List” of desired characteristics and capabilities. In that list I tried to express both in technical terms and in musical terms what I believe a music lover’s relatively affordable two-way non-mini monitor loudspeaker should sound like. 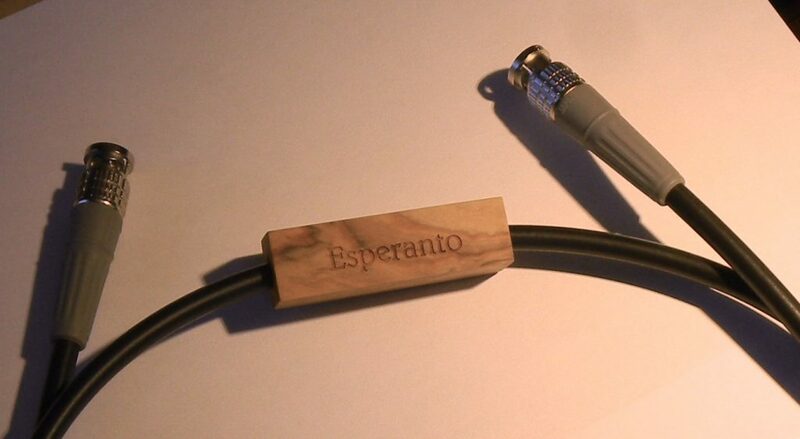 The Esperanto Parolanto’s bass response is so deep and clean that more than one listener has looked around for a subwoofer. Audio nerds take note, if you wish: the Esperanto Parolanto loudspeaker’s cabinet is 8.625 inches (w) x 14 (h) x 10.5 (d), which gives a displacement of 1,267.9 cu. in. The front panel is, by design, to Golden Ratio “Portrait” picture-frame proportions. It is the cabinet volume below the lower edge of the woofer-mid (as well as the characteristics of the port) that provides the satisfying bass extension. However, the prime directive always was that the midrange—especially in the crossover region—be as phase-coherent as possible, in order to enable the “shock of recognition” from well-recorded human voice, classical guitar, or piano. The result is a loudspeaker I can listen to for hours. There is enough bass extension for most music; the timbral balance (the fruit of work carried on, on-and-off, over the course of three years) is near perfect; and the imaging is exceptional. Luxman’s M-200 power amplifier drives the Esperanto Parolantos. The M-200’s output is “only” 25Wpc, but I found it completely capable of driving the Parolantos, a moderately inefficient load (83dB/1W/1m). The Luxman amp is beguilingly smooth, but not at all lacking in top end. Loudspeaker cables are Audioquest’s Type 44. They represent exceptional value for money. Analog interconnects are Cardas Audio’s Clear. 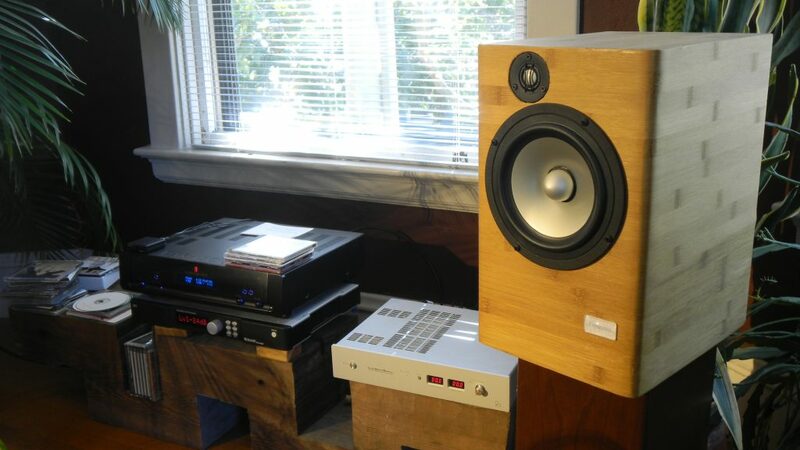 The heart of the system is Bricasti’s class-leading M1 DAC (the regular version, not the gold-plated one…). I wrote about the M1 DAC and its various upgrades and improvements several times during my tenure at Stereophile. If you have not heard it, you should. That said, if your budget does not quite extend into Greater Bricastistan, Grace Design’s m920 DAC/pre/HPA amp in my opinion provides 80% of the Bricasti’s performance at about 20% of the price. The prime digital source is Parasound’s CD1, which is not so much a CD player or transport as a dedicated computer with a photography-quality CDROM drive spinning four times as fast as a normal CD player’s, while employing a proprietary software-based read-until-right error-correction and jitter reduction system. The primary virtues of this system are realism and musicality. There is a sense of depth – not in bass extension, but that the music is dimensional in space and in time.